Dr. Goldberg has dedicated her professional life to human-animal relationships in veterinary environments, and other areas of connection and conflict. She earned her BA in the Science in Society Program at Wesleyan University in 1999, and her DVM from Cornell in 2004. She then completed a rotating small animal internship and continued along the emergency/critical care path in both private referral practice and academia. 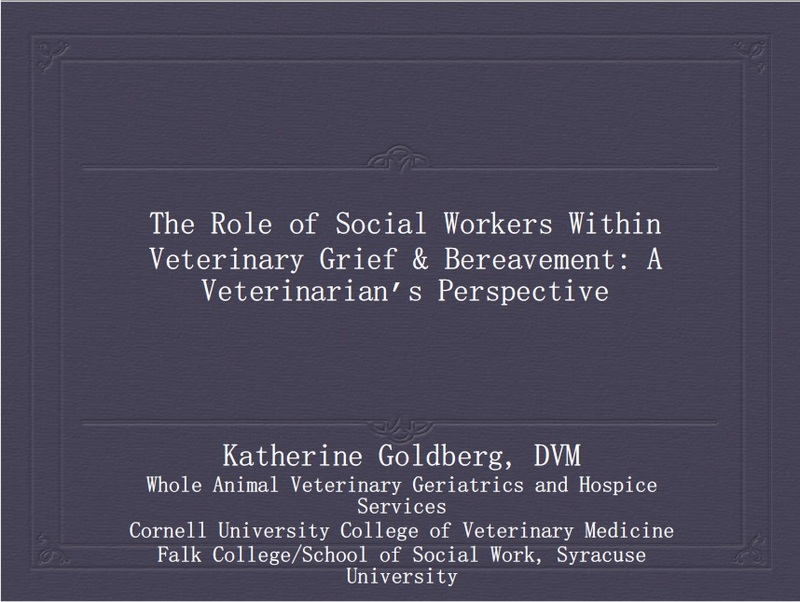 While in the ICU Dr. Goldberg developed an interest in the ethics of intensive care for animals, the impact of critical veterinary illness on family dynamics, and palliative medicine in veterinary settings. She then spent 3 years in general practice, providing client consultation on palliative medicine options, death & dying, as well as in-home euthanasia services, before exclusively dedicating herself to family centered end of life care. 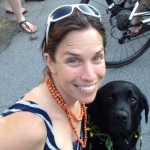 She became a trained volunteer for Hospicare & Palliative Care Services of Tompkins County in Fall 2009 and founded her practice, Whole Animal Veterinary Geriatrics & Hospice Services, in 2010. 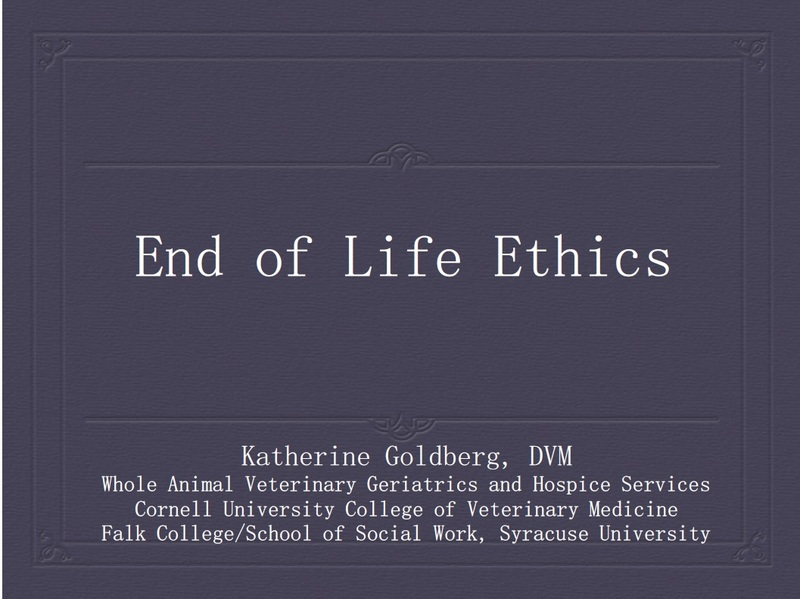 The practice name changed from “Hospice” to “Palliative Care” services to more accurately reflect its scope of practice and support Dr. Goldberg’s commitment to ethically defensible end of life care for animals. She is currently a member of Hospicare’s Ethics Committee & is dedicated to exploring the connections and disparities between hospice services for people and animals. Whole Animal is one of the only veterinary practices in the country exclusively dedicated to this area of care that is not focused solely on mobile euthanasia services. Dr. Goldberg has a courtesy lecturer appointment at Cornell’s College of Veterinary Medicine and has significantly increased student exposure to end of life topics since 2012 in both core curriculum and elective offerings. Her course, “Current Topics in Serious Illness Care & Palliative Medicine” is unique among veterinary college curricula. She is trained in the Serious Illness Conversation Guide developed by a collaboration between Ariadne Labs, and palliative medicine teams at Harvard Medical School & the Dana Farber Cancer Institute, and has modified the guide for veterinary use. She completed her Master of Social Work at Syracuse University in May 2018 in the Advanced Integrated Practice track, linking micro, mezzo and macro practice, and is part of a team currently building coursework in human-animal interactions for Syracuse’s School of Social Work. Her MSW field placements have been in hospital-based medical social work (Cortland Regional Medical Center) and university counseling (Cornell University). Dr. Goldberg is working to bridge the professions of veterinary medicine and social work through affiliation with innovative educational initiatives, such as the Veterinary Social Work Program at the University of Tennessee. She is a licensed master social worker (LMSW) in the state of New York. In 2019, after almost a decade of clinical palliative care service delivery, Katherine redirected Whole Animal’s focus to consultation, education, and mental health support while transitioning her direct practice efforts to clinical social work. She currently supports undergraduate and graduate students as a counselor/therapist with Counseling and Psychological Services at Cornell Health. 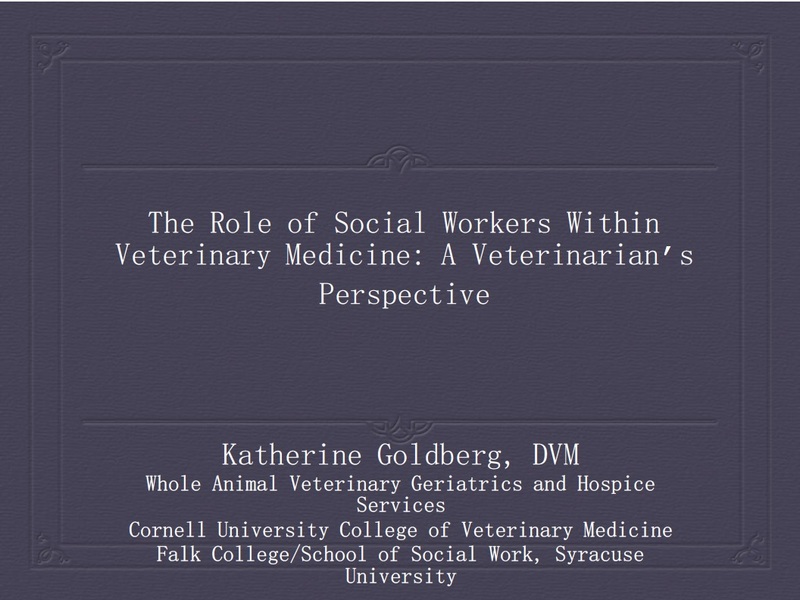 Dr. Goldberg is co-founder of the Veterinary Society for Hospice & Palliative Care – the only end of life care organization specifically dedicated to veterinarians. It currently hosts an online community for veterinarians to share cases and build knowledge in these emerging areas.